The key part of the project is to re-create a public square in front of the station, which will replace the current arcade built there in the 1930s. This plan has wide support, though there remain interlinked key questions of what size the square should be, ie how much reduced by new buildings, and what functions the square should have. Views on this are needed. Cleaning up the physical area around the station, making it more pleasant for pedestrians, and attracting more varied kinds of shops, are also long held and widely shared aspirations. 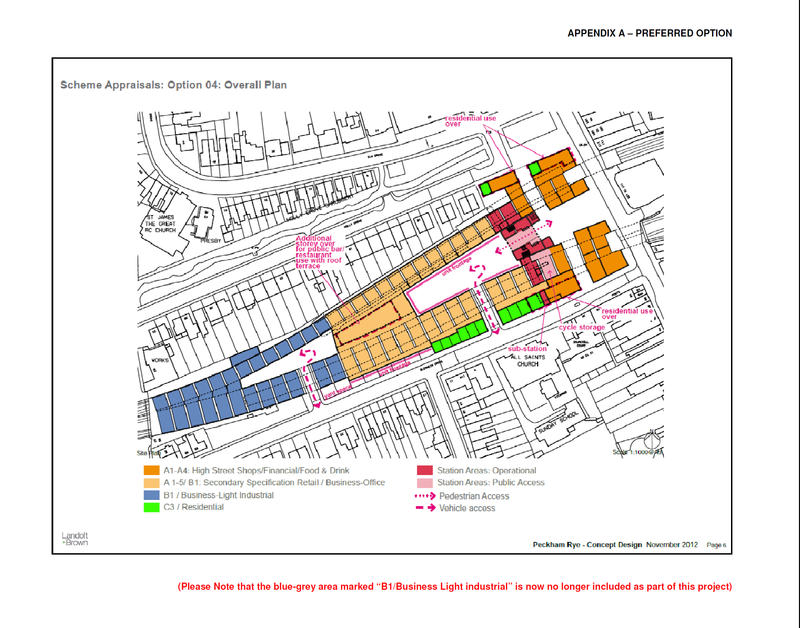 A key question is whether or not any other buildings on the Network Rail land surrounding the station need to be demolished and replaced to achieve these. Views on this are needed. * clearance and simultaneous refurbishment of all the arches in Dovedale Court between the rail lines. There is also a public campaign for the provision of public toilets in this central part of Rye Lane: http://www.peckhamvision.org/wiki/Toilets_petition. If you support this aspiration it will be important to repeat it in your comments on Saturday so that the possible locations for public toilets outside the station (as station toilets are available only to station users) are examined properly in the design stage.